Keep an open mind as you check out your potty-chair choices: seats that attach to the big toilet, little potty chairs — and don’t forget that you can always use that hand-me-down chair (from an older sibling or cousin), and let little sweetkins personalize it with stickers, making the throne hers alone. Encourage your trainee to sit on different chairs to check out size. How well each one fits her tiny backside can be a big factor in her speed of adapting to potty training. Find a nice fit: In the store, let her road-test a few and see which ones are comfy and best fit her baby-buttocks. The right chair will be sized so that she can rest her feet on the floor and use her muscles to bear down when she wants to start a BM (bowel movement). Feet dangling in the air aren’t conducive to making the process work. Study the nitty-gritty: Check out potty chairs and toilet-toppers for basic practicalities, such as stability and easily removable catch bowls. Opt for a remove-from-the-top bowl over the type of bowl that you remove from the back, which isn’t as user-friendly. Also, make sure the chair doesn’t slide around. Try to predict your reaction to wild gadgetry before you buy a chair that sings to your toddler as she sits, or rings a bell when pee hits the bottom of the bowl, or any number of other combinations. Otherwise, your child will get confused if you suddenly deactivate her bell in mid-stream. Parents who find repetitive sounds annoying should definitely bypass the talking-singing potty chairs. If your chief desire is to avoid the noise of your trainee’s potty chair, the process is doomed from the start. So, don’t feel guilty if you decide to steer clear of the one that’s crooning show tunes. When it comes to potty chairs, you have two different styles to choose from: a stand-alone potty chair you put in the bathroom, or a special adapter seat you attach to the big people’s toilet. Consider the smart-device factor: Some kids and parents like a chair that has all the bells and whistles — one setup has a potty chair, an adapter seat for later, and a stepstool. Foster a love connection between child and chair. If you get your toddler’s thumbs up on a chair she likes, she’ll feel more like the chair is her own. If your kid is turned on by the adults’ toilet, she’s already motivated, so get a special potty seat that hooks onto the toilet to make it fit a child. 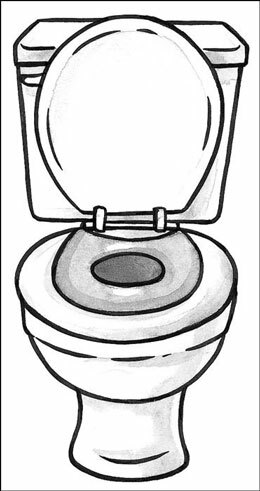 Figure 1 shows a toilet with a seat attached. Also, buy a little stepstool because she must be able to plant her feet firmly on a base (and push), for better bowel movements. Get a no-nuisance toilet-top adapter: If you’re buying an adapter seat for the adults’ toilet, try to find one that won’t drive the rest of the family nuts because removing it is such a bother. 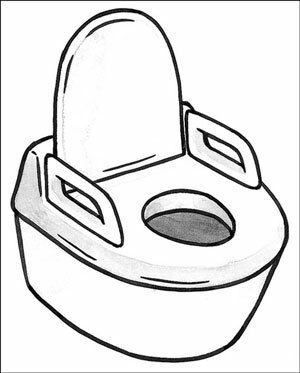 Figure 1: A toilet-topper potty seat on an adult toilet. Buy a private chair for an individualist: The child who’s fond of the “mine” word will relate more easily to a potty-chair than to the big people’s toilet. Typically, a kid likes having her own private little pee-pot, such as the one shown in Figure 2. Figure 2: An on-the-floor potty chair. With this type of seat, your child won’t need your help in getting on the potty, as she may with the adults’ toilet. The one downside: You have to clean out the bowl — and that gets old. Having a child in the house means you also have a lot of “stuff,” from toys to clothes to gadgets. The potty-training stage also has its gadgets. Whether it’s all necessary or not, is up to you. Boy-directed splash guards, such as the one shown on the potty chair in Figure 3, can be troublesome for boys and girls. Be sure you remove the urine guard from the potty seat or toilet ring because it can scrape your child as she moves on and off. This device is meant to keep urine from splashing, but don’t take a chance. If your child gets hurt, she will think the toilet is scary, and that’s a whole new set of problems. You don’t want to go there. 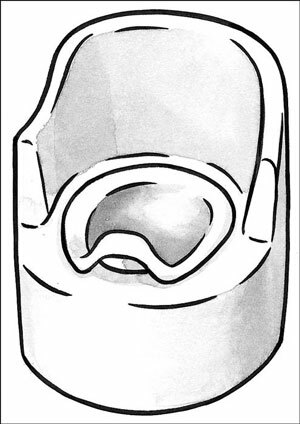 Figure 3: A potty chair with splash guard. Some ultra-practical accessories are Jonny Glow strips that have a night-glow that helps your child use the potty in the middle of the night. Given a 15-minute charge from a normal bathroom light, the strips will glow for 10 hours, and they’re easy to stick on any toilet surface. If you want a little fluff in the bathroom, try a potty sticker chart or a bowl of tiny potty prizes displayed where your toddler can see it. She’ll get the idea “If I get the hang of this potty thing, I can get stickers and a prize from that bowl — cool!” You could also hang up a hygiene chart, with pictures that take kids through the steps from wiping bottoms to cleaning hands.